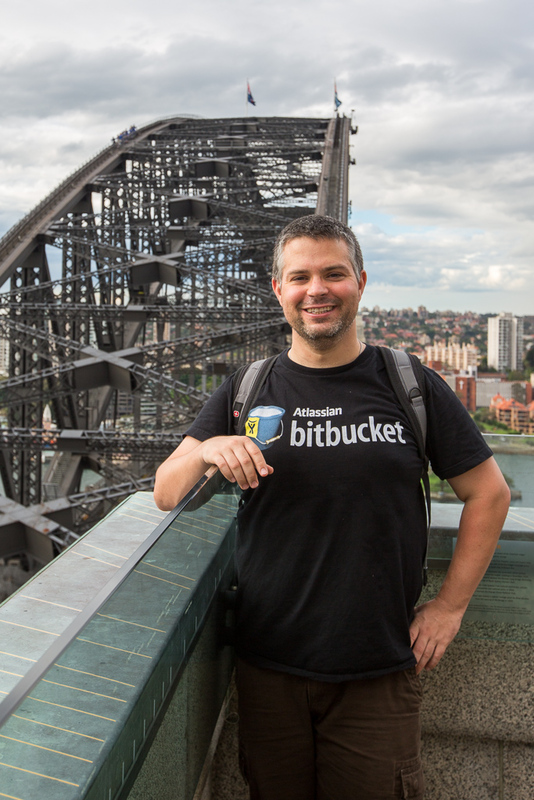 I loved the BridgeClimb but was bummed out that I couldn’t bring a campera up to the top. 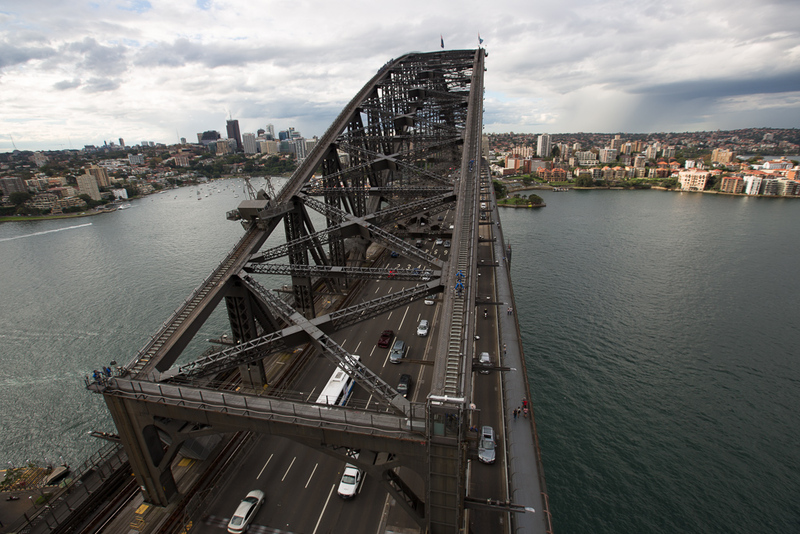 I decided to climb up the Sydney Harbour Bridge Pylon Lookout as you could bring your camera. I wondered why as the main driver from not bringing cameras on the climb was people dropping them. The pylons were pretty high too. I was running out of time in Sydney and decided I’d go up on my way to work. You can only climb up the pylon on the left hand side of the map. 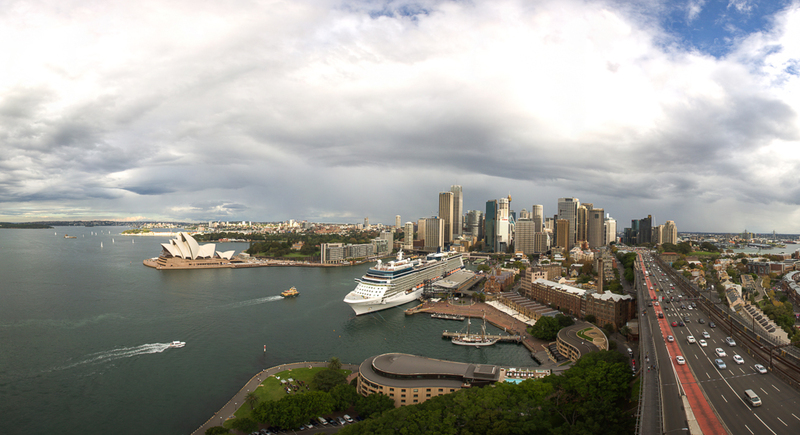 It’s the side closest to the Sydney CBD. The pylon lookout is about 260 feet above sea level and takes climbing about 200 stairs to get to the top. The stairwell is a bit tight, so it’s not for claustrophobic one. Once on top, the view was pretty amazing. The skies were mostly overcast with some strong sun coming through every so often. Since the sun and I were facing east, I was only able to get about half the skyline. The Western Suburbs were drenched in sunlight. 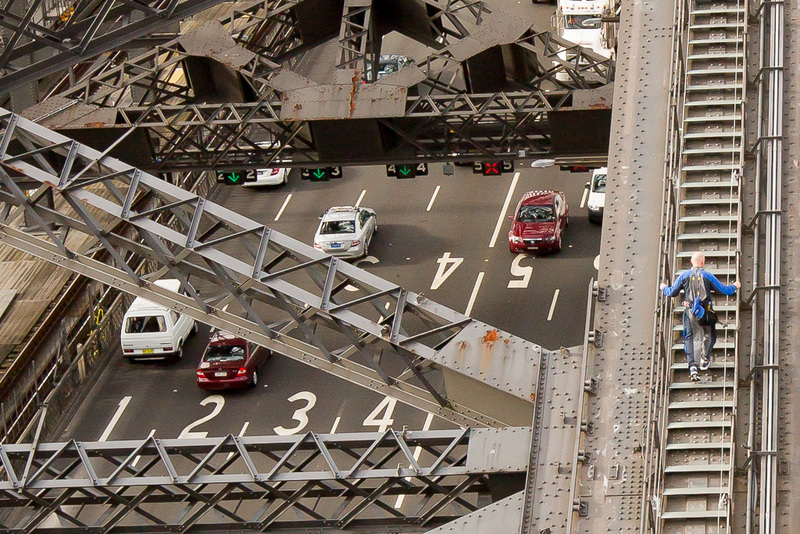 Part of coming up here was to get a different perspective on the BridgeClimb. Looking from the pylon, you can see people walking up the staircase. At this point in the climb, I was feeling pretty good as the stairs felt secure and wide. Zooming in a bit you can clearly see the third rail that kept the climbers safe. When we got on the bridge, we slipped our guard over the third rail and it’s a continuous line all the way around the bridge. 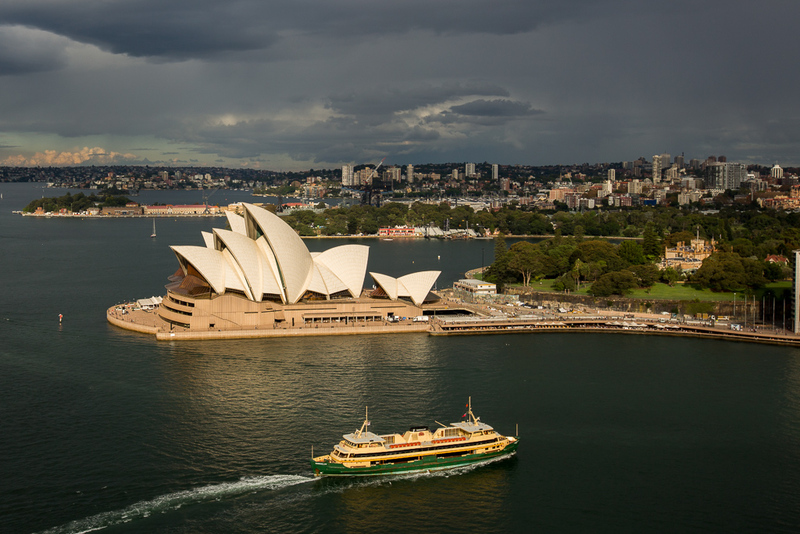 The morning sun had a nice glow to it that lit up the Sydney Opera House and had nice reflections out on the harbour. With black and white the weather in the background clearly stands out! 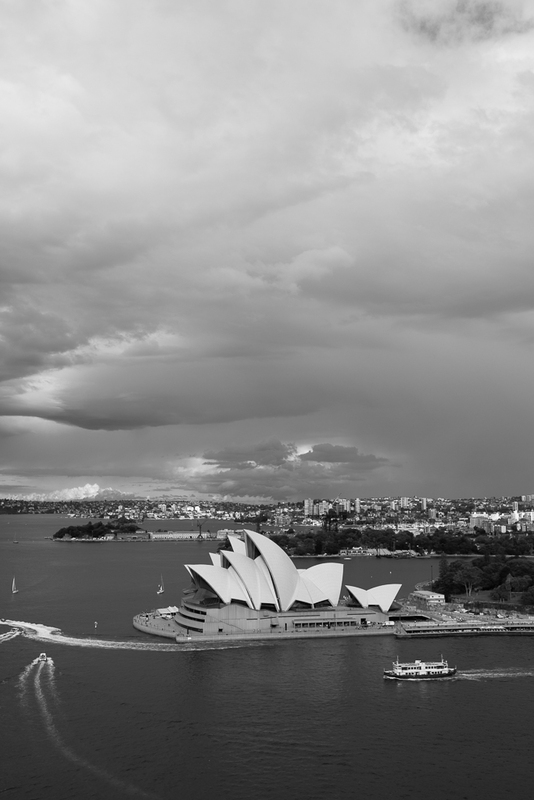 Sydney has a great skyline. It’s one that is easy to photograph from a number of vantage points that makes it cool to capture.